point of the cutter. This results in a superior cutting performance. of better access into narrow spaces. now for a demonstration on location. As a rescuer you want to work with a cutter that delivers the best cutting performance. If you are mainly active in the field of vehicle rescue, this should be a cutter performing optimally on (new) cars. But what is actual cutting performance? Is it the maximum force you find in the technical specifications? Is it reflected by the cutter classifications of the international EN 13204 and NFPA 1936 standards? Or are there any other determining factors? would remain the same. So it does not say anything about real cutting performance. cutters, which are used by independent certification authorities such as UL and TÜV. indication of a cutter’s performance on (new) vehicle construction. 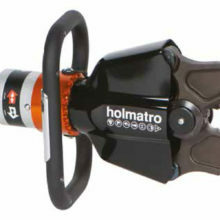 At Holmatro we believe that the best rescue tools are developed on the basis of practical application. 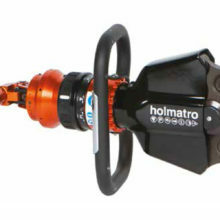 So when it comes to vehicle extrication you need a cutter that performs optimally on (new) cars. Our New Car Technology cutters are specially designed to deal with the latest vehicle construction. Extensive testing on the latest prototypes shows they even have lots of capacity left for the future (see figure 1). It’s all about smart tool design.